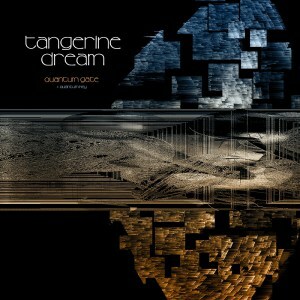 In 2015 German Electronica visionary and leader of the band Tangerine Dream, Edgar Froese, died, two years before the band celebrated its 50th anniversary. However, Froese had elected as his successor as leader of the band, Thorsten Quaseschning, who, along with Frose’s wife, Bianca Acquaye and other members Hoshiko Yamane and Ulrich Schnauss, have continued to work as the band. The result of this work is the album released as Quantum Gate which was released in September 2017. In line with Froese’s vision the album has now been re-released with the edition of the earlier Quantum Key E.P. as a two volume edition. The release continues and develops Froese’s and the bands traditional and trademark sound, featuring sequence-driven electronica to bring to the listener atmospheric moods that envelop and wash over them; taking them on a journey of aural exploration.